Liverpool are now only two points behind rivals Manchester United, following their 2-0 win over Southampton on Sunday. 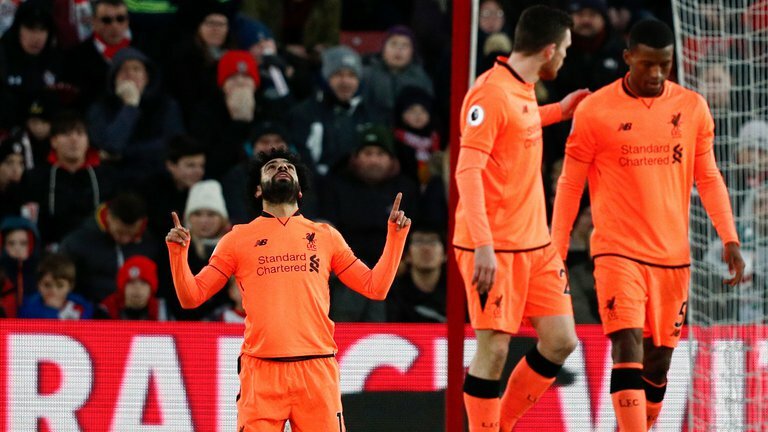 Mohamed Salah and Roberto Firmino set up goals for each other as Jurgen Klopp’s men romped to victory at St Marys Stadium. Salah laid on the opener for Firmino inside six minutes and the Brazilian returned the favour with a sublime back-heel. The result means Liverpool now have 54 points. Earlier in the day, Manchester United failed to keep up with runaway leaders Manchester City, as they lost 1-0 to Newcastle United. City are 16 points clear of United after 27 round of fixtures and need six wins to be crowned champions of England.